KATHMANDU, Feb 9: Following the souring of relations over the ruling party's position on the Venezuelan crisis, chairmen of Nepal Communist Party — KP Sharma Oli and Pushpa Kamal Dahal — have been holding a series of meetings to resolve their differences. Oli, who also leads the government, had invited Dahal to Baluwatar, to discuss how to address the differences in their conflicting views on the Venezuelan crisis. As chairman of ruling NCP, Dahal had denounced American intervention against Venezuela's elected president Nicolas Maduro Moros. Instead of echoing Dahal, Oli in a television talk show, termed Dahal's use of language as “a slip of the toungue” in the statement. Oli was in Davos to attend the annual meeting of the World Economic Forum. The United States of America expressed its serious objection to Nepal government's position on Venezuela. Although the government summoned Nepal-based diplomats to clarify its position on the Venezuela crisis, US Ambassador to Nepal, Randy Berry had skipped the diplomatic briefing. 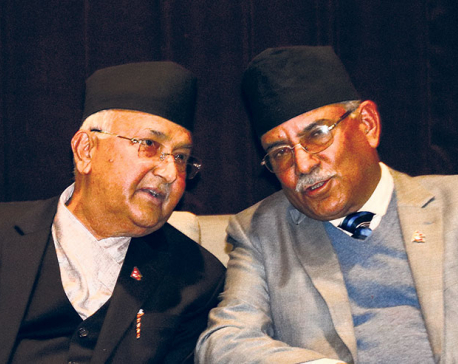 The conflicting stance from two heads has sharply divided the ruling party that was formed in May last year after the unification of CPN-UML and CPN (Maoist Center) as announced before 2017's parliamentary elections. Leaders close to the erstwhile Maoist party, have been standing with Dahal's strong worded statement whereas most former UML leaders want to stay away from criticizing US intervention. 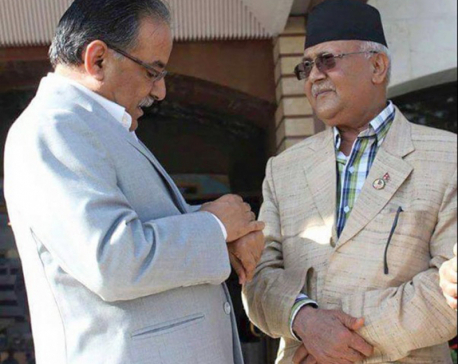 With the soured relation, Oli and Dahal had held a serious discussion for nearly two hours on Friday as well. “They sat for a meeting today as well. 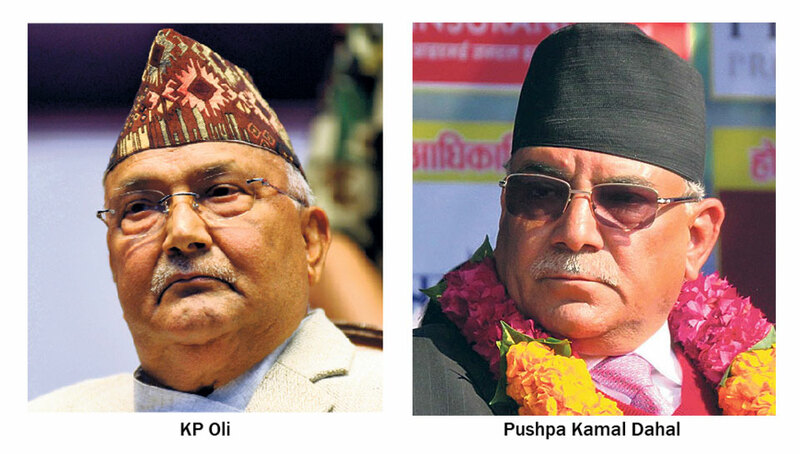 The discussion was of course about issues of public concern,” said an aide to Oli. After Friday's meeting, Dahal had agreed not to provoke the Venezuela issue further. Shortly after coming out from the meeting, Dahal warned of another conflict if someone tries to undermine Maoism while addressing a public function in Kathmandu. PM Oli, according to informed source, is more concerned after Dahal's warning at a time when the party unification process has not completed and some ministers from former Maoist party are criticizing the Oli government.